We commonly see and experience Indian art music as two different streams: Carnatic music of South India and Hindustani music of the rest of India. Forgotten in the myriad divergent stylistic features of the two systems is their core of commonality - a raga based approach to music that is very unique to Indian music. Many connoisseurs of Tamil popular music appreciate Hindi music and the reverse is also becoming true, thanks to the universal orchestral appeal of today’s composers; the recycling of tunes across linguistic borders is adding to a larger repertoire of popular music that the wider pan-Indian population can relate to. 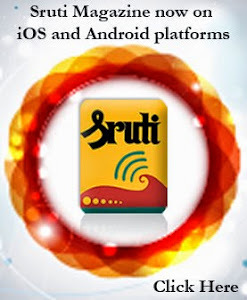 This cordiality seen in popular music does not necessarily extend to the North Indian and South Indian art music forms. Hindustani and Carnatic music audiences are generally perceived as water-tight compartments of rasika-s and while it is possible to see South Indian rasika-s in Hindustani music concerts, the opposite is quite rare. We also see a galaxy of performers of south Indian origin on the north Indian stage—veterans such as Lakshmi Shankar, MS Gopalakrishnan, N. Rajam from the last several dechades to today’s performers such as Kala Ramnath, Kartik Seshadri, Anupama Bhagwat and others. It is however very rare to see non-South Indians performing Carnatic music (although you see them on the diasporic Bharatanatyam stage particularly in the United States and Canada). This is not to state that Carnatic music is ‘not appreciated’ by Hindustani artists and pundits. Some of the greatest praise for Carnatic music has come from masters such as the great Ravi Shankar himself (who was surrounded by Tamil speaking people for most of his life!). However the praise that intrigues me most is from one of the most vociferous critics of Carnatic music performance, Pandit Vishnu Narayan Bhatkhande (1890-1936), composer/musicologist and the architect of modern Hindustani musical pedagogy. Read the following excerpt from ‘Two Men and Music’ by Janaki Bakhle in which she renders a paragraph from Bhatkhande’s diary where he provides a glimpse into his views on Carnatic music practice. Such scathing criticism belies the profound admiration that Bhatkhande had for the theory behind the South Indian system of music. In contrast to the strong paragraph above, Bhatkhande showers praise on the theoretical framework of the (south) Indian system of raga-s through the medium of dhrupad. Presented below are the lyrics of his dhrupad in raga Purvi in praise of Venkatamakhi and his work Chaturdandi Prakasika. (A recording of this dhrupad by Vidita Kanniks has been on Youtube since July 2011). What is special about this composition, given that it is one of the numerous bandishes that Bhatkhande authored on musicological subjects such as the origin of music and raga lakshana? It is not just the lyrical content of the composition but also the context of Bhatkande’s life and musical pursuit that lend particular significance to this composition. Let us first take a look at the composition in detail and then at its translation. First of all, this dhrupad in raga Purvi in jhap tala is a four-part composition. The first part asthayi has two lines and the second part antara beginning with ‘raga ragi’ has two lines as well. The third section sanchari has a single line spread over four avartans has a single line of text and the last section abhog follows a similar pattern. Note that there is rhythmic concordance between each of these six lines of the composition with respect to the last word of each sentence. The lyrics are simple and the meaning of this composition should be fairly obvious. Bhatkhande states in this composition that Venkatamakhi authored the work Chaturdandi Prakasika and that he modelled 12 chakras with the 12 tonal scale. He then goes on to state that Venkatamakhi conceived of the different flavours of each of these positions (to constitute 16 swaras); he specifies three varieties of ‘ri’, ‘ga’, ‘dha’ and ‘ni’ and challs them out by name (ra, ri, ru, ga, gi, gu, dha, dhi, dhu, na, ni and nu). Bhatkhande then states that Venkatamakhi also explains the various combinatorial possibilities of ‘ra ga’, ‘ra gi’, ‘ra gu’, ‘ri gi’, ‘dha na’, ‘dha ni’, ‘dha nu’, ‘dhi ni’, ‘dhi nu’, ‘dhu nu’. In the sanchari, he states that Venkatamakhi conceived of the mathematical possibility of 72 families (melas) of ragangas (the janaka) raga-s taking into account the two madhyama possibilities (and the invariant Sa and Pa - not mentioned in the composition). Bhatkhande then states that Venkatamakhi spelled out (with authority and clarity) the murchanas (aroha-s and avaroha-s) of the various bhashanga-s and upanga-s that belonged to each family (raganga). The first and the last phrases of the composition contain the composer’s mudra (chapa) ‘chatura’. Bhatkhande adopted the pseudonym ‘Chatura pandit’ and all his compositions have the mudra ‘chatura’ built into them. This composition thus features two occurrences of the chapa. The dhatu and the matu of the composition blend extremely well and this dhrupad makes a powerful musical tribute to Venkatamakhi. Now, why would Pandit Vishnu Narayan Bhatkhande (1860-1935) write a composition in praise of Venkatamakhi, especially in the light of his condescending attitude towards the (then) prevailing Carnatic music performance idiom? 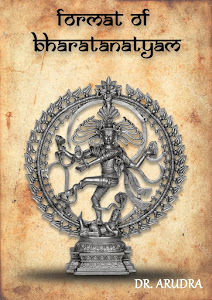 The answer lies in our observation that Venkatamakhi appears to be a powerful figure in two directives that were at the center of the entire thrust of Bhatkhande’s musical pursuits. One of Bhatkhande’s goals was to find the link between the North and the South Indian systems of music and pave way for a common music system so that the ‘entire nation could sing in one voice’. The other was to bring a system of order into the Hindustani idiom much like the Carnatic idiom. Known for his meticulous documentation, Bhatkhande records in his diary that he wants the ‘rules of raga-s to be fixed in North Indian music in a manner that they were fixed in South Indian music’ in order to pave way for nation wide systematization; he felt that the Chaturdandi Prakasika would be central to the effort of restoring order to the ‘(then) disordered state in Hindustani music’. It was therefore with the idea of perusing the Chaturdandi Prakasika (an ‘authoritative Sanskritic work’ by Venkatamakhi written in the mid 1600s) that Pandit Bhatkhande set about on his long journey to Ettaiyapuram. His objective was to meet Subbarama Dikshitar (1830 - 1906), the greatest living musicologist of that time and acquire a copy of his prized heirloom. The meeting between the two musicologists happened on December 17, 1904. It is exhilarating even to imagine the conversation that would have taken place between these two musically elevated souls during that meeting as the similarities and the differences between the two powerful personalities are particularly intriguing. One was a court composer/ musician/ musicologist in the service of the raja of Ettaiyyapuram in the deep south; the other was a lawyer turned musicologist/ composer from Maharashtra who hobnobbed with royalty in his quest to document the legacy of Hindustani music. One belonged to the Dikshita musical pedigree, a lineage which traced its musicological affiliation all the way to the 17th century musicologist Venkatamakhi and was committed to laying down for posterity a meticulous documentation of the musical legacy of his ancestors. The other was of no such pedigree and yet consumed by a burning zeal to bring order to a ‘national music system’ that future generations could take pride in. One came up with one of the earliest means for notating a significant number of compositions from the Dikshita pedigree right from where he was stationed at Ettaiyapuram. 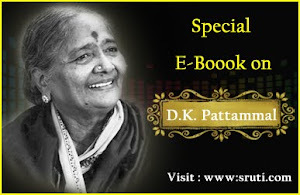 The other used every means at his disposal to travel to various parts of undivided India and document in his pioneering sargam notation a vast number of compositions as rendered by professional (gharana) musicians of his times. One documented the lakshana gitas of the Venkatamakhi tradition while the other created his own lakshana gitas inspired by those of the Venkatamakhi tradition. Subbarama Dikshitar’s magnum opus Sangita Sampradaya Pradarsini (SSP) was published in 1904 shortly before the meeting of the two great minds. Bhatkhande’s mammoth work Hindustani Sangit Paddhati (HSP) (Kramik Pustak Malika) was published later. (The raga lakshana slokas in the SSP are not seen in the Chaturdandi Prakasika (CP) but are seen in the ‘Raga lakshanam’ published as an appendix to the CP. This work is said to have been authored by Muddu Venkatamakhi, maternal grandson of Venkatamakhi. A detailed discussion on the extent of Venkatamakhi’s contribution to raga classification and nomenclature is beyond the scope of this article. This article also deliberately chooses not to discuss the difference between the Venkatamakhi sampradaya and the later Kanakangi/ Ratnangi melakarta scheme). Subbarama Dikshitar and his SSP constitute a living link between the age of the Muttuswami Dik.itar and the 20th century. Bhatkhande and his HSP constitute a living link between the world of gharana-s and the institutional Hindustani music of today). Subbarama Dikshitar’s demise in 1906 was acknowledged with an elegy written by none other than fellow Ettaiyapuram resident Mahakavi Subramanya Bharati. Colleges have been named after Bhatkhande and his achademic syllabus based pedagogichal model is followed as a standard in the widespread dissemination of Hindustani music. There is no record of Subbarama Dikshitar’s observations on Bhatkhande. 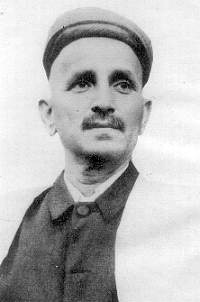 Bhatkhande however likens Subbarama Dikshitar to a sage whose face shone with wisdom; he also makes generous compliments on the latter’s knowledge and the accompanying humility. To Subbarama Dikshitar, Venkatamakhi is the sole authority on raga-s and is the architect of raga theory. He condemns all other raga traditions as spurious outgrowths. He even credits Venkatamakhi with formulating the ingenuous ‘ra ri ru’ nomenclature for denoting the 16 swaras and designates him as the author of the laksana slokas presented in the Sangita Sampradaya Pradarsini2. To Bhatkhande, Venkatamakhi was the author of a work that was at the center of the ‘order’ seen in Carnatic music; an order that could be a model for Hindustani music. It might not be too far fetched to state that Bhatkhande’s signature ‘chatura’ (he refers to himself as chatura pandit) was probably inspired by his deep regard for the Chaturdandi Prakasika. No Carnatic music composer has written explicitly in praise of Venkatamakhi or his visualization of 72 families of raganga-s. Saint composer Tyagaraja who invokes many celestial musicians such as Narada and musicologists such as Sarngadeva in his compositions does not mention Venkatamakhi. Muttuswami Dikshitar invokes his immediate (tantric) guru in his compositions, refers to Devi as ‘dvi saptati raganga raga modini’ (one who delights in the 72 raganga-s) but does not call out Venkatamakhi explicitly. It is in the light of the clear absence of musical praise for Venkatamakhi in South India that Bhatkhande’s dhrupad on Venkatamakhi stands out explicitly as an acknowledgement of the core of commonality between the two systems of music. Here is a recording of Bhatkhande's composition on Venkatamakhi. Indeed a great article with entirely new & informative stuff. Never heard before! --- GOPAL, Cleveland, OH. Wah! I had known about the Chatur Pandit's admiration for Venkatamakhi's system of classification but had not known about his meeting with Subbarama Dikshitar or about the dhrupad in praise of Venkatamakhi. I opened my copies of the HSP to check for the dhrupad and sure enough I found it on Pages 267-270 of the 2nd volume :) Thanks for sharing. It surely made my day. P.S. Vidita sings very well!